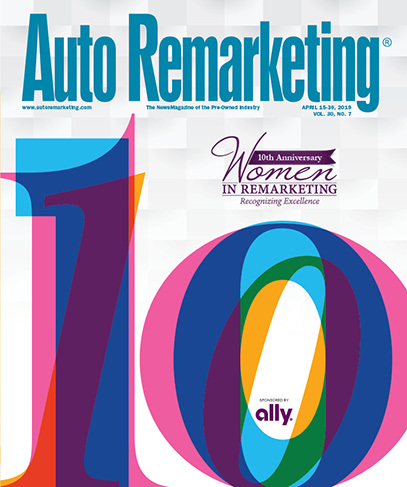 Congratulations to the recipients of this year's Auto Remarketing’s Best Auctions to Work For program, presented by CARS Recon. Winners are recognized in the Sept. 15 edition of of Auto Remarketing and at a Nov. 15 breakfast during the National Remarketing Conference + NAAA Convention segment of Used Car Week, which is being held Nov. 12-16 at the Westin Kierland Resort & Spa in Scottsdale, Ariz.
Auto Remarketing, teaming with the Best Companies Group (BCG) in Pennsylvania, underwrites the study. The study is managed by BCG, and the data is analyzed 100 percent by the staff at BCG. Best Companies Group directly administers all surveys and manages and analyzes all data and information that is gathered. The Q&A pieces in the special section were put together by Auto Remarketing, which also gathered photos provided by the honored auctions. This is the third year of Best Auto Auctions to Work For. To see those who won in either 2016 and/or 2017, see the listing of all-time winners here. Editor’s Note: KAR Auction Services, the parent company of the ADESA physical auction chain and the TradeRev digital auction, did not participate in the physical auction side of the Best Auto Auctions to Work For study this year. It did, however, participate on the digital auction side. To see the company’s ADESA physical auctions that earned recognition in the past, please see the All-Time Winners portion.